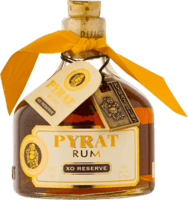 At the lower end of rums to drink neat A perfectly ok, lighter rum for drinking straight, but for the price there are many better options. A good mixing rum Mount Gay XO is a good rum for mixing. Enjoyable for sipping when others aren't available, but enough rough edges to make it harsh. Not for straight drinking, fine for mixing This is a very well priced rum that's not a great choice for drinking neat, but perfectly good for a dark & stormy. Mix this Appleton Estate 8 year is ok for sipping if you've no other options, but it's really just a rum for mixing good drinks.